40 days and counting. Then it’s the big day, the official first day of Mr. & Mrs. Krayola Kidd. Can you feel the excitement? Can you? I know myself and the soon-to-be Missus sure can. The Wedding Day Commission package is still up and running. It’s one 9×12 full color image with two characters and two single character full color sketch cards for $30.00. That is a $25.00 savings off my regular commission prices. So if you are interested, just send me a note. 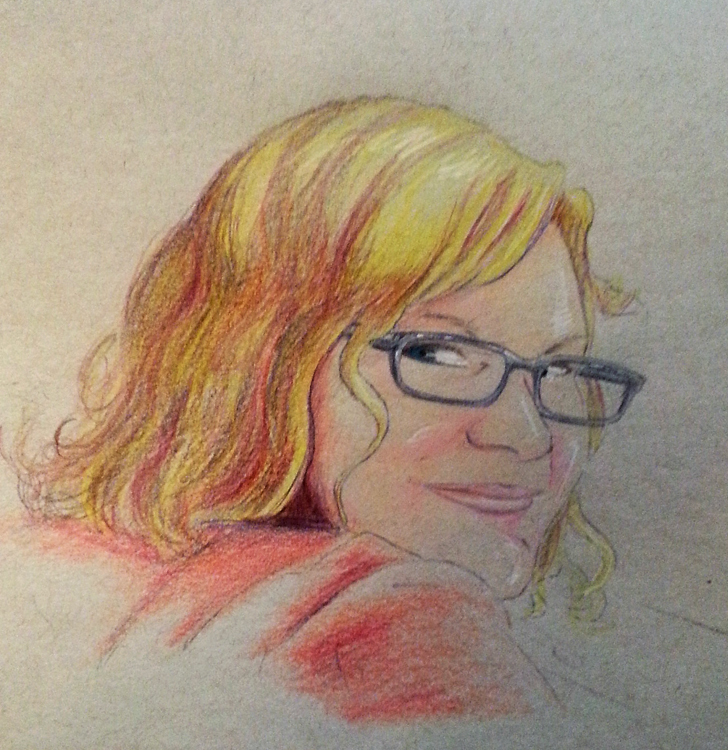 M- colored pencil on grey toned paper. ‘Til next time. Have fun, enjoy life and praise God. This entry was posted in Christ mas, Christmas, Commisssions, Retro Sketch. Bookmark the permalink.